Blue skies and white snow today in Nozawa Onsen. 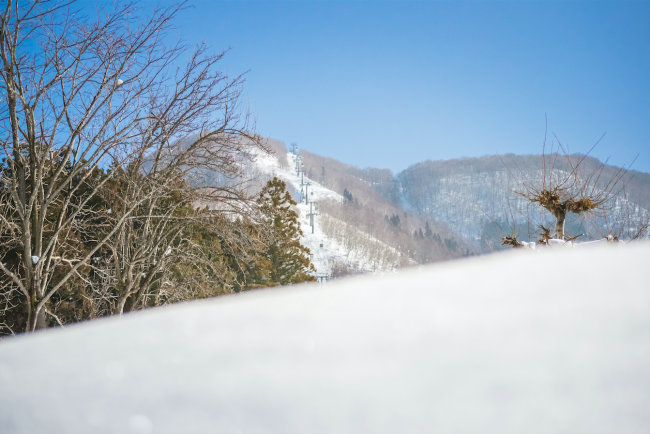 We’ve got ourselves a beautiful bright blue day today in Nozawa Onsen. It’s a little bit warmer than it has been too. It’s a great day to get out amongst it, whether sliding down the mountain or wandering around checking out our beautiful little village. Current forecasts suggest there’ll be a centimetre or two of snowfall up top today before handfuls throughout tomorrow. Beyond that, there’s a bit more sun and some steady snowfall almost every day of the coming week besides Tuesday. While there’s nothing to suggest we’ll get the huge dumps of the past few weeks, there’s more than enough on the radar to keep us well and truly topped up. What are current conditions looking like on top of the mountain? Looking further ahead to later in our lengthy season, we should find ourselves skiing right up until Golden Week in early May. We may not see the huge dumps of earlier in the season but spring season is still a whole heap of fun. There are discounts to be had on accommodation and lift passes during April. Couple that with far fewer people on the mountain and in the restaurants and it makes for a great family skiing holiday. Likewise, it’s a pretty cost-effective couple’s getaway too. You may very well find yourselves alone on a run at this time of the year, especially on a weekday. Feel free to send us an email at stay@nozawaholidays.com with any enquiries.